You are here: Home / couples sleeping apart / By George…. 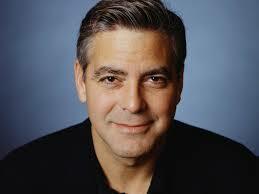 Those who know me well, know of my great love for George Clooney. I know that I am but one of likely millions of women who still cannot, after many years, stop swooning waves crashing over me when ever his handsome face appears in any media. Who cannot just adore this man? Not sure about anyone else, but my husband and I have a deal that we are allowed to name one celebrity with whom we are allowed a night of passion with, should this celebrity turn up at our front door. Guess who I have nominated? However – my love of George may just have incrementally heightened by discovering that…… Yes!! !… I think George may be a separate sleeper. (There really is a God. And he/she is good). The International Business Times reports that Life&Style magazine are reporting that Amal and George sleep in separate rooms. A little indulgence here for me. Apparently…. the reason they are heading to separate rooms is that the marriage is in crisis!! (Where have we heard that horrid cliche before??? Mmm….. all the time in the media because they can’t think of ANY OTHER reason someone might want to sleep separately). Now, to be honest, I am guess that two rather lovely and intelligent people might be making a sensible decision about prioritising sleep. It’s just a gut feeling I have.